I know you know the Oscars happened last night, which means half of Hollywood showed up to the famous Vanity Fair after party. 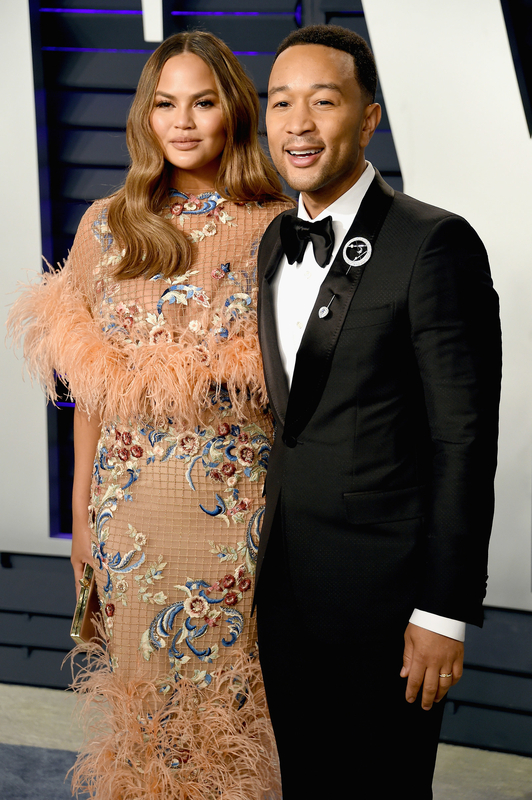 It's the hottest ticket in town on Oscars night, so of course everyone's favourite mom and dad, Chrissy Teigen and John Legend, were there. I think we can all agree that they both looked fabulous, and absolutely lived up to the iconic legend name. But, at one point during their red carpet walk, John and Chrissy seemed to get involved in a slight ~situation~, with her pushing him away from her spot. And, of course, she opened her Twitter app later in the night to explain exactly what was going on. Ms Teigen needed some space to work the carpet ALONE. And it looks like John was all for her having her moment. And based on Chrissy's tweets this morning, it seems like the two of them had a pretty enjoyable night.